Home / Europe / soccer / UK / Sir Alex Ferguson gets £108,000 a day — and he's retired. So why can’t football pay the living wage? Sir Alex Ferguson gets £108,000 a day — and he's retired. So why can’t football pay the living wage? Nowhere is the greed, selfishness and staggering inequity of modern business more vividly illustrated than in English football’s Premier League. To them that hath, more shall be given. And to them that hath nowt? Who cares? 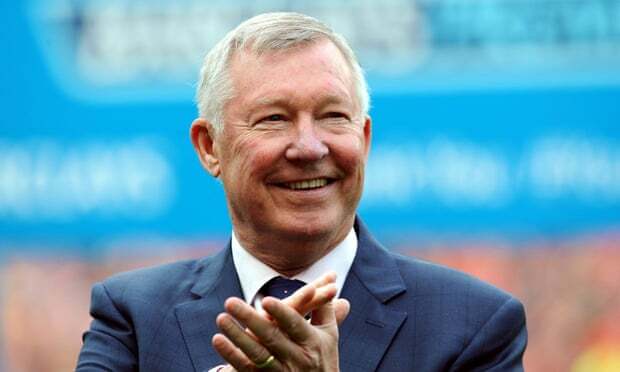 In a blog last week, the Guardian football writer Daniel Taylor disclosed that Sir Alex Ferguson, who retired as Manchester United’s manager at the end of the 2013 season, had been paid £2.165m in the eight months to June last year for his new role as the club’s “global ambassador”. The financial documents published by United didn’t make it clear if this sum included four months back pay to May 2013, when Ferguson signed his new agreement, or whether it represented two thirds of an annual salary that would be worth roughly £3m in total. But as his contract reportedly stipulates that he need work no more than 20 days a year, even the lower estimate rewards him at the rate of £108,250 a day. In an entertainment business that boasts salaries of £280,000 a week (paid to United’s Angel di María), Ferguson still stands out as an absurdly well-paid retiree whose last significant act for his club was to arrange the appointment of a dud successor. Sir Bobby Charlton, another of the club’s ambassadors, earns less in a year – £105,000 – than Ferguson’s daily rate; Taylor calculates that Ferguson earns at least 14 times as much as the prime minister. But Charlton and Cameron can look after themselves. Think instead of the thousands of workers at the base of football’s financial pyramid, the people in catering, cleaning, security and ground maintenance who are paid the minimum wage and, if their work is subcontracted, perhaps not even that. As the bidding process closes for the next round of Premier League rights, reported to be attracting bids working out at an eye-watering £8m a match, spare a thought for a 19-year-old cleaner at Old Trafford or Anfield, who would be legally entitled to £41.04 for an eight-hour day. Di María is paid more than 1,300 times as much; Ferguson’s day rate is 2,630 times as much. Bearing in mind that slaves and lions, too, had a cost to their owners, the disparity between the emperor Nero and the lowest occupant of the Colosseum cannot have been greater. In November 2011, the Living Wage Foundation began a campaign that might moderate this injustice just a little. It asked the Premier League’s clubs to pay all their workers – and lean on their subcontractors to do the same – the wage rate that has become widely recognised as the mark of a decent employer: the living wage, which is now set at £7.85 an hour (£9.15 in London) compared to the statutory national minimum of £6.50 for adults and £5.13 for 18-to-20-year-olds. Several prominent MPs – Frank Field, David Lammy, Sadiq Khan – took up the cause, and last month Ed Miliband mentioned it in a speech. It is this smug, lamentable, iniquitous English industry that has the world enthralled. I must have passed the doors of Simpson’s-in-the-Strand hundreds of times in the past 45 years, but I never stepped through them until this Tuesday – only to discover that the restaurant, opened in 1828 as Samuel Reiss’s Grand Cigar Divan,is up for sale and might soon become the most stupendous branch of Nando’s, or yet another block of expensive flats, and therefore indistinguishable from the rest of London. I write as though it mattered to me, when it clearly shouldn’t: to feel concern about the imminent end of an institution one has never used or valued must be a form of hypocrisy. Nevertheless, it was a place I felt I might go to once and one of these days, to have a silver-domed trolley wheeled to the table – the dome pushed back dramatically to reveal the joint, the beef to be expertly sliced by the carver – and then to think about ordering a treacle sponge. Wodehouse wrote that a Briton could easily stupefy himself with food at Simpson’s, and quite cheaply, too. Everything I knew about it suggested the colour brown – I imagined a festival of brown-ness: brown meat, brown soup, brown gravy, brown dessert, brown cigars, brown suits, brown panelling on every wall. In fact, it isn’t so monochrome. There are white tablecloths and pale, elaborate ceilings, and Tuesday’s lunch was pastel-shaded: potted salmon with lemon marmalade, pork chops with mash and savoy cabbage, hundreds of plates of each and all dispatched quickly because the eating was merely a prelude to the ceremonial of the Oldie of the Year awards. A succession of winners made amusing and self-deprecating speeches – Lord Falconer (Oldie slimmer of the year), Ian Lavender (Stupid Oldie Boy of the year) – though the warmest applause was for Bridget Riley (Stripe Artist of the year) who won everyone’s heart by her touching sincerity. Then at last we came to the Oldie of Oldies, Ken Dodd, aged 87, whose stream of jokes, homilies and character impersonations (Quasimodo) threatened to take us through to dinner and perhaps even the next day’s breakfast, until the chairman intervened and everyone clapped long and firmly to make sure the comedian didn’t start up again. Like Dodd, Simpson’s belongs to an earlier age: carnivorous, long-lunched and as English as a Rowlandson cartoon. But this is only the front-of-house view. In fact, since 2005 the restaurant and the adjacent Savoy hotel have been owned by a Canadian firm, which now wants to keep the second and sell the first, and hopes for an easier sale by stressing that Simpson’s name and line of business needn’t be perpetuated. No-frills meat-eating is probably in irrevocable decline; the silver-domed trolley and the gravy boat may soon be making their last rounds in the Strand. If it happens, I’ll miss the idea of them rather than the fact. Autodidact is a troublesome word. As a child I knew no interesting or clever person who wouldn’t now be described as one, other than my teachers and a cousin with a chemistry degree. School followed by some self-education was a normal condition and therefore didn’t carry a name; it was time spent at university that marked people out. When I think of these self-improvers, “vulnerability” isn’t a word that comes to mind. A skeptical curiosity ran through every one of them – their targets included God, political parties, newspapers, the monarchy and the local landowner. They were no more gullible than a doctor of philosophy, and quite possibly much less so than a royal biographer.